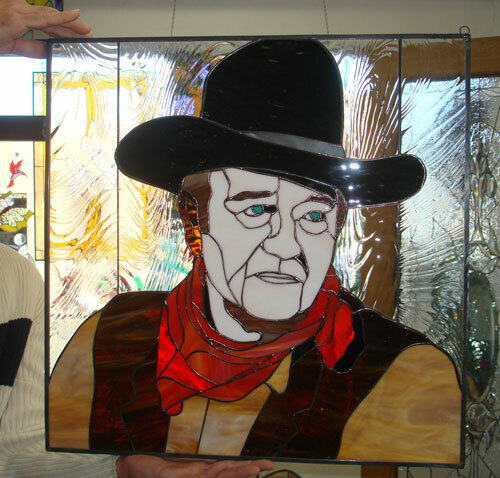 Classic Western lovers will adore “The Duke,” our tribute to the late, great John Wayne in leaded stained glass. Adorn your den with John Wayne, “The Duke” himself, to bring a star-studded light into your spaces. Great for your home bar, entertainment room, or anywhere else you want to add a true Western gent to shine down on you! 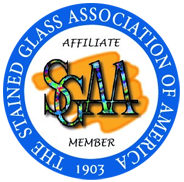 Categories: Windows Made-to-order (Wide Range of Designs), Logos & Famous Icons, Southwestern.